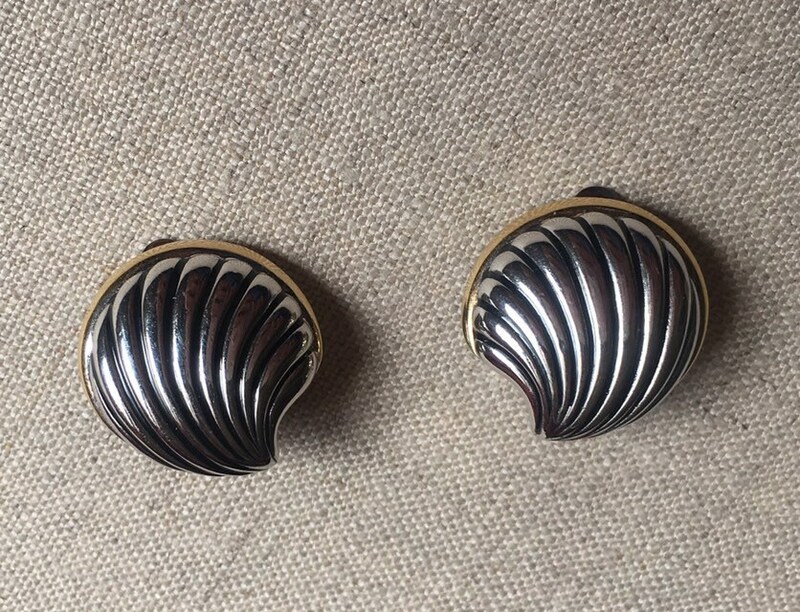 These have a silver tone body with dark accents and gold edge. These are a nice everyday look or special event accessory. These are plated base metal. No silver or gold markings. Its beautiful. Its very small, just how I wanted it. Fast shipping, beautiful piece and Racquel was lovely to speak with! Gorgeous heels in as described condition!!!! Practically mint vintage!!!!! LOVE LOVE LOVE!!!!!!!!! Mini lightening bolt silver kid's charm necklace 12"